Roderic Heard is a prominent, nationally recognized attorney and presenter. 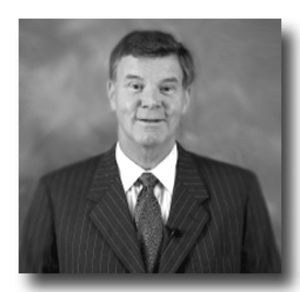 He is a partner with WILDMAN, HARROLD, ALLEN & DIXON LLP and highly experience trial attorney. Rod has tried to verdict over 30 complex business cases before juries, judges and arbitrators. In arbitration, he has been an arbitrator, advocate, expert witness, speaker, and professor. In addition to a full-time legal practice, he serves on the 5-person Executive Committee which manages his firm. Since 1993, he has annually taught the courses: “Dispute Resolution” and “Trial Advocacy” at the Northwestern and DePaul Law Schools. Mr. Heard has tried lawsuits in more than 20 states and Guam. Companies like Honeywell International, Inc., KONE, Inc., Sony Electronics, Inc., Hyatt International, Transamerica, Inc., Chevron Oil Co. and Biomet, Inc. have relied upon his expertise in commercial and technology litigation. He has successfully handled numerous class actions, injunctions, and appellate proceedings. Mr. Heard has been an arbitrator for AAA and CPR in commercial, securities and financial arbitrations. He is a frequent advocate for parties in domestic and international arbitrations. He teaches the course “Commercial Arbitration” at DePaul’s Law School each Spring. Mr. Heard is a frequent speaker on Arbitration, Dispute Resolution and Trial Advocacy. He is a past chairman of the Network of Trial Law Firms; and is a “Distinguished Neutral” for CPR. He was selected as one of the 100 All-Stars of Client Service in the BTI Survey of Corporate Counsel and is one of the 500 Illinois lawyers listed in Who’s Who Legal 2006.